Keep you warm,Because the extra cushioning in the feet is more likely to be hit and hurt.We need to protect it more than others,then you need our socks.The high quality and personalized desgined stocking is suitable for adult men, lady, women or teens to have a nicer. The graphic on it is original funny 3D printed, if you have inspiration on the design, please feel free to tell us, we will customize for you. High Quality Material: Polyester And Cotton.Stockings is stitching well and has outstanding workmanship, it is durable and hold its shape very well. 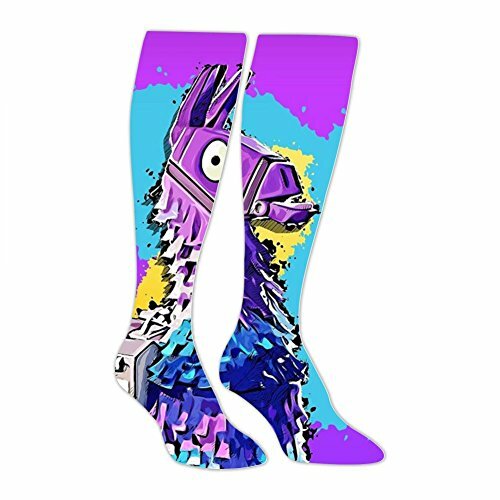 Wearable and Cool Design: Fun knee long socks featuring cool patterns, easily match with all colors and stylish outfits Comfy and Breathable. Attractive and Plus Size: The patterns are unique, no repeats. 7.88inch sock sole, 20.87inch length, which is suitable for adult men,women,teenages, teen boys and teen girls. Indispensable Accessories: Perfectly match all boots,jeans,casual and formal business suits,school college uniforms,wedding dressier suits,etc; Luxury gifts for both men and women. Please allow 0-1 inch difference due to manual measurement.We assure lifefime service, any question, please feel free to contact us.100% Satisfaction Guaranteed-If there is any question with our product, please contact us. If you have any questions about this product by BMN&GAO, contact us by completing and submitting the form below. If you are looking for a specif part number, please include it with your message.